The Community Partnership of Santa Clara County is a non-profit community organization dedicated to promoting healthy communities. Our solution conveys the concept of a coalition of community leaders committed to “linking people and ideas” to find contemporary solutions to prevent social problems. 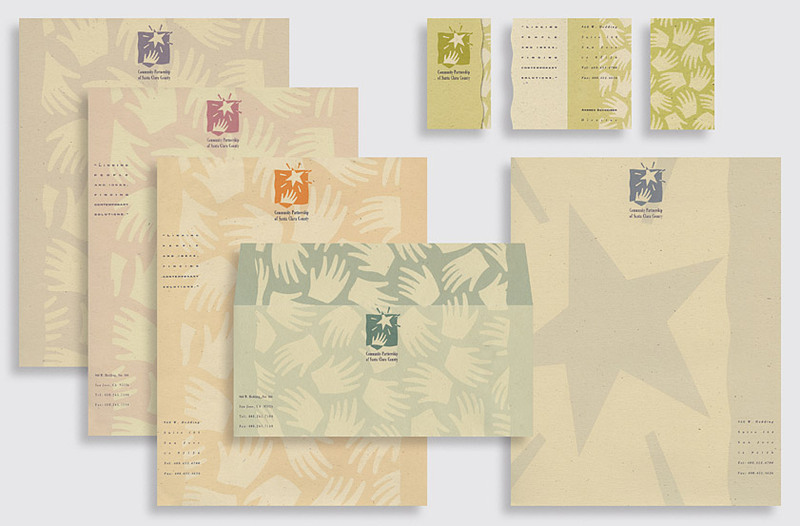 The stationery system uses a pattern composed of different hands to convey the concept of a diverse community. The unique color palette identifies each stationery component while symbolizing the region’s multicultural audience. 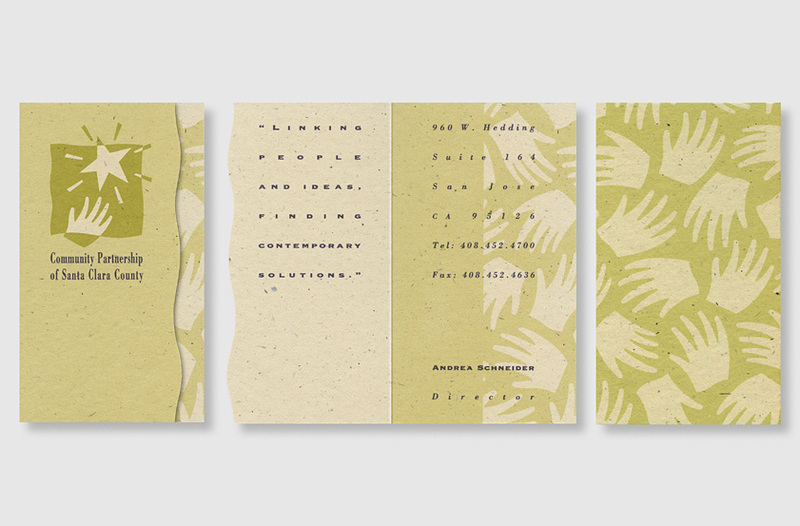 The business cards use a unique die-cut to evoke the foundation’s cutting-edge approach to solving community issues, displaying the organization’s mission statement inside the flap.